We take pride in our work and our people. Our ability to service clients and the accessibility of our partners have enabled us to develop a large and loyal clientele. Our individual backgrounds create a broad experience base, which gives us the confidence to deal with every assignment presented to us. Michael has been with Thomson Jaspar since 2001. 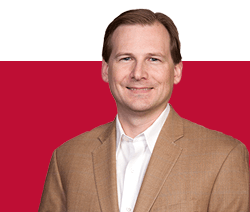 He specializes in corporate reorganizations, estate planning, family trusts, professional incorporation, business start-ups and buying and selling businesses. Obtained BComm (with distinction) from the University of Saskatchewan in 1996. Obtained CA designation in 1999 in Saskatoon, Saskatchewan. Completed In-Depth Taxation program through the CICA in 2000. Received the Schmeiser Spirit Award from the United Way of Saskatoon. My super hero name is… Mr. Accountant! Look in my fridge and you’ll find… at least 10 different kinds of beers. I love… the Saskatchewan Roughriders! I’m a huge fan. My wife is a close second! I will always… wear a watch. If I could go back in time… I’d play for the Montreal Canadians from 1956 to 1960. Rodney has been with Thomson Jaspar since 2005. 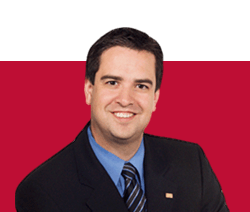 He is dedicated to helping clients achieve business success by establishing practical and sound tax and financial processes. Obtained BComm (with distinction) from the University of Saskatchewan in 2003. Obtained Masters of Professional Accounting from the University of Saskatchewan in 2004. Obtained CA designation in 2006. Bet you didn’t know this about Rodney. If I had one wish I’d… ask to have more time to spend with my children. Why do I… always have to win? People say I’m… honest and sometimes a little too honest. My friends call me… trustworthy and dependable. I never want to… regret trying something new. Amberlea became partner at Thomson Jaspar in January 2013. 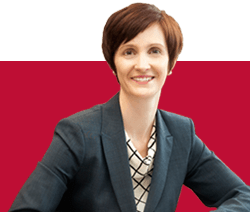 Prior to becoming partner she articled and obtained her designation as a Chartered Accountant at Thomson Jaspar. 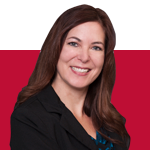 She enjoys getting to know clients on a personal level and this allows her to cater her advice to their specific needs. Her genuine concern for clients and their businesses results in quality, caring service. Obtained BComm (with distinction) from the University of Saskatchewan in 2002. Obtained CA designation in 2005. Completed the CICA In-depth Tax Course in 2010. Director, Saskatoon Friends of Students and Kids Inc.
Treasurer, Saskatoon Friends of Students and Kids Inc.
Maybe I should… learn to fly. I love… hiking in the mountains. I don’t understand… why everyone doesn’t find tax interesting. My friends call me… because I don’t like texting. My guilty pleasure is… chocolate. Rick has been with Thomson Jaspar since 2010. He loves helping clients understand their personal and business finances, and strives to help clients build successful businesses and become financially secure through proper planning. Obtained BComm from the University of Saskatchewan in 1995. Obtained Chartered Professional Accountant designation 1998. Worked for eight years as a manager at Deloitte doing large corporate audit, five years as controller at Philom Bios Inc., and three years as Partner at Salamon Ratzlaff Chartered Accountants. When I was a kid I… loved pretending I was one of the "Duke Boys." I’ve always wanted to… be a NASCAR driver. If I could go back in time…I would buy a bunch of muscle cars in the late 60s and early 70s. My hidden talent is… making the cheesiest Kraft Dinner (my kids say I’m the "King of Kraft Dinner"). Somewhere, someone is… on a beach. With a cold beer. 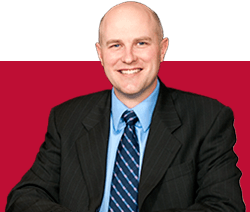 Bryce has been with Thomson Jaspar since 2006, articled with Thomson Jaspar and obtained his designation with Thomson Jaspar. 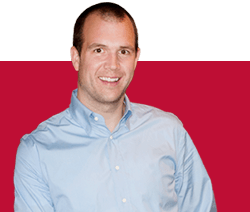 Bryce manages the day-to-day operations of the firm as well as specializing in business valuations. Obtained BComm from the University of Saskatchewan in 2003. Obtained CA designation in 2007. Currently enrolled in CBV program of studies. I love… spending time with family at the lake. I don’t understand… how we know so much about black holes. My friends call me… a Seattle Seahawks homer. If I won the lottery I would… travel the world with my family. It drives me bonkers when… clothes hangers are not all the same direction. When I was a kid I… found jeans too "pooky." Jayson has been with Thomson Jaspar since 2014, joining the firm after accumulating experience for 16 years with Deloitte. He specializes in compliance and consulting services on cross-border tax matters, including preparation of U.S. income tax returns. Obtained BComm (with distinction) in 1998. Obtained CA designation in 2001. Obtained MSTax (U.S.) (with high honours) from Golden Gate University in 2008. Obtained CPA (Illinois) designation in 2012. Things that make Jayson say… hmmm. I am… an Olympic level figure skating official. I don’t understand… why all accountants don’t specialize in tax. If I won the lottery, I would… travel with my family. I’ve always wanted to… go to a Duke Blue Devils basketball game. My guilty pleasure is… breakfast food. Life’s too short to… let other people bother you. 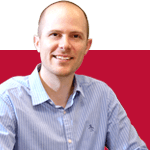 Travis has been with Thomson Jaspar since 2011. He prides himself on providing comprehensive and timely service to achieve the business goals of small business clients at all stages of their respective business cycles. Obtained BComm (with distinction) from University of Saskatchewan in 2008. Obtained CA designation in 2011. Treasurer, CHEP Good Food Inc.
Travis, tell us what you really think. If I had one wish… the Toronto Maple Leafs would win the Stanley Cup in my lifetime. I will always… enjoy spending time with my family. My guilty pleasure is… watching game shows. I've always wanted to… travel to all the major league baseball ballparks. Braden has been with Thomson Jaspar since 2012. His strength lies in the provision of specialized advice from tax and business perspectives to small businesses and professionals. Obtained BComm (with great distinction) from University of Saskatchewan in 2009. Obtained MPAcc from University of Saskatchewan in 2011. Obtained CA designation in 2012. Completed In-Depth Taxation Course through CICA in 2013. Director, Saskatoon City Hospital Foundation Inc. Member, Golf Tournament Organization Committee, Prairie Hospice Society Inc.
Co-Chair, Good Food Junction Cooperative Ltd.
Treasurer, Good Food Junction Cooperative Ltd.
Director, Good Food Junction Cooperative Ltd.
A few things to know about Braden. I don’t understand… why people don’t love to watch soccer. I will always… be early. I never want to… be bored. Look in my fridge and you’ll find… lots of old leftovers. My guilty pleasure is… goldfish crackers. I always crave… goldfish crackers. One time, I microwaved… hot chocolate for 24 minutes. Life’s too short for… worrying. Keith has been with Thomson Jaspar since he and Arnie Shaw established the firm in 1980. 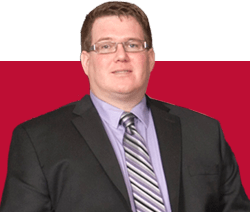 Keith’s entire career has been spent in public accounting and over the years he has been called upon to provide advice with respect to valuation and income taxation in numerous areas. Obtained BComm (with honors and distinction) from the University of Saskatchewan in 1972. Obtained CA designation in 1974 while with Price Waterhouse in Calgary, Alberta. 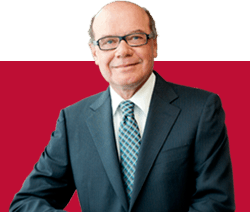 Worked as a specialist in income taxation with Deloitte, Haskins & Sells in Saskatoon from 1975 through 1980. Chairperson, St. Paul's Hospital Foundation Inc. I am… most likely on the golf course. If I had one wish… I would live closer to my children. I don’t understand… why drivers are always in such a hurry. My friends call me… "The Little General," sometimes "General" for short. Is it true that… your biggest worries never happen at all? Do you dream about numbers? Do taxes excite you? We are always looking for ambitious, hard working people to work with us at Thomson Jaspar! If this describes you, submit your resume to bwilliams@thomsonjaspar.ca. Thomson Jaspar & Associates has an exceptional opportunity for a full-time, permanent public practice tax accountant in Saskatoon, Saskatchewan. Salary will be commensurate with training and experience. Although service to our clients is our primary concern, we do our very best to ensure a quality life-work balance for our team members. 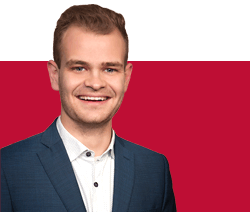 If you are interested in an excellent career opportunity in a distinctive work environment, please apply in confidence to Bryce Williams, CPA, CA at (bwilliams@thomsonjaspar.ca). Thomson Jaspar & Associates has an exceptional opportunity for a full-time, permanent Chartered Professional Accountant in Saskatoon, Saskatchewan. Salary will be commensurate with training and experience. Thomson Jaspar & Associates has an exceptional opportunity for a full-time, permanent accounting technician in Saskatoon, Saskatchewan. Salary will be commensurate with training and experience. We are seeking an individual with personal tax preparation experience to help during tax season. The contract position starts at or near the beginning of March and runs until the end of April, with the potential for extension into May. Hourly contract rate will be commensurate with training and experience. 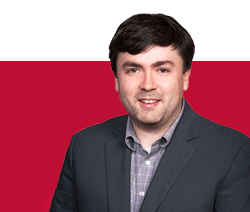 If you are interested in an excellent career opportunity in a distinctive work environment, please apply in confidence to Bryce Williams, CPA, CA at (bwilliams@thomsonjaspar.ca). How’s this for simple arithmetic? All work and no play makes Thomson Jaspar a dull firm, and nobody wants that. Even though we work hard, we also make sure we take some time to play!